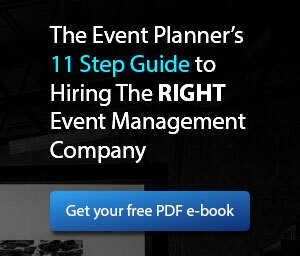 At Eleven Events we design and execute event experiences for corporations, non-profits and associations who want to achieve business objectives, meet revenue or fundraising goals, and highlight their organization’s strategies and objectives to new audiences. We bring together all the elements of the event theme, find the right environment, and then add in the energy and emotion that will make your event a memorable experience. We look after everything from planning and contracting vendors right through to execution and wrap up, saving you time and money and allowing you to focus on other things. We create spectacular event experiences for your guests and your team. It’s at the forefront of what we do. We want you to be blown away by the atmosphere and energy we bring to each and every event. Even if it’s a small event or meeting there’s no excuse for boring. Whether you’re looking for more registration numbers, or to simply get the word out about your event, you may need a little boost. Event marketing is something we’re proud to offer in a province where spreading the word can be a challenge. We have the experience and connections that will deliver. Nothing has the team at Eleven Events more excited than a challenge! We have nearly a decade of experience, planning and coordinating engaging events throughout the province. Our portfolio ranges from trade shows and conferences to fundraisers and galas. We are highly organized, engaging, excellent listeners and communicators, and CREATIVE! By working intimately with local vendors and suppliers over the years, we’ve built solid relationships that deliver great value and prices to our clients. With nearly a decade of experience in sourcing the right venues for the right events, the relationships we’ve built give us greater power to negotiate on your behalf. For events of all sizes, our relationships deliver premium results. Knowing which sponsors to attract to your event is important. Smaller sponsors will also have limited budgets. Knowing when and how to approach a sponsor can give your event the support, and budget, it needs. We have spent years cultivating strong relationships with prominent sponsors and partners. Our goal is to attract the right ones that fit your organization. We understand their budget cycles, their needs and their direction. ROI is paramount for the people we work with, and we make it happen.